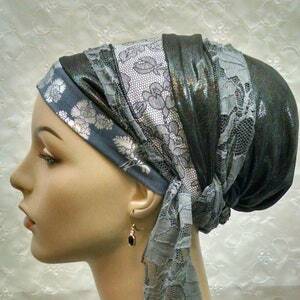 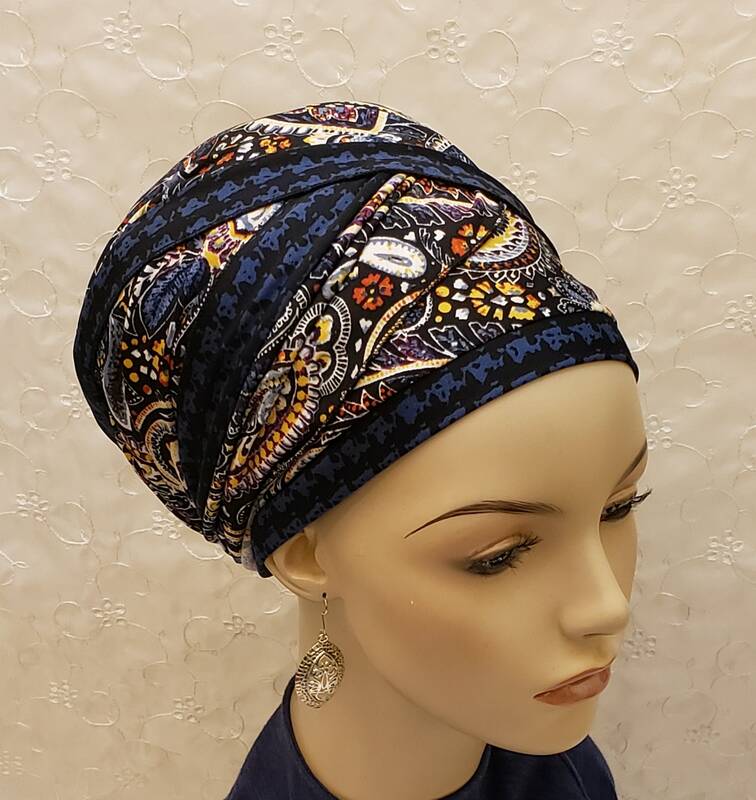 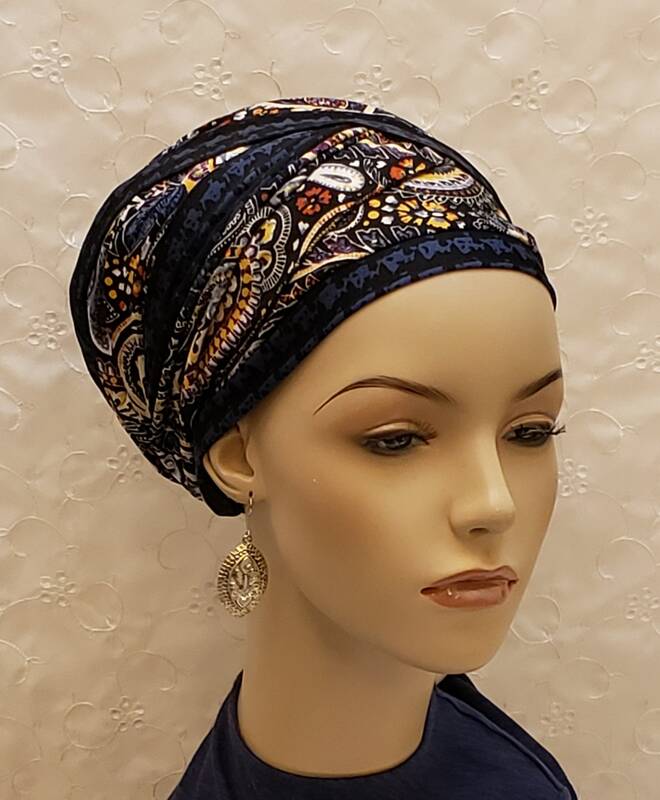 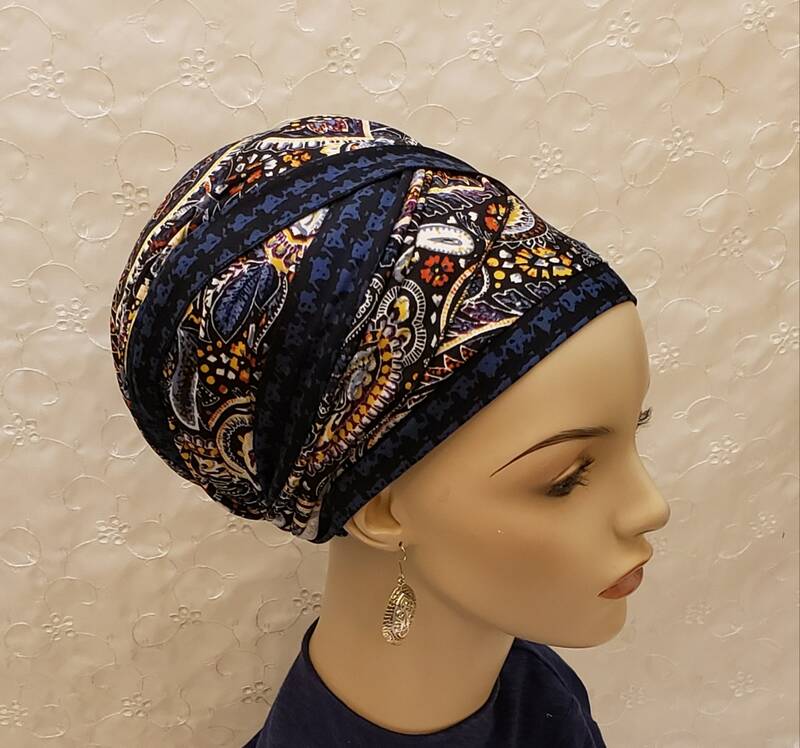 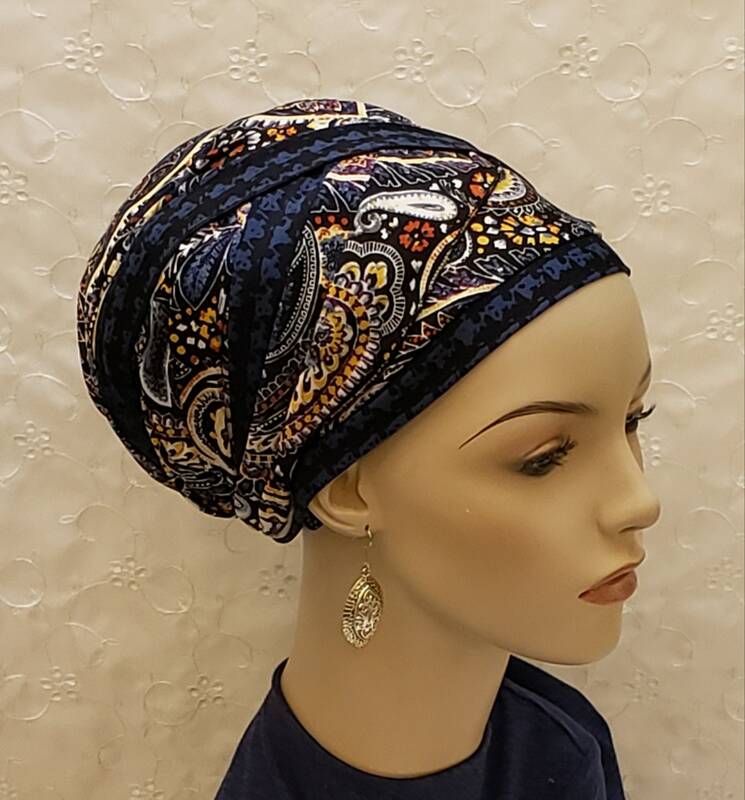 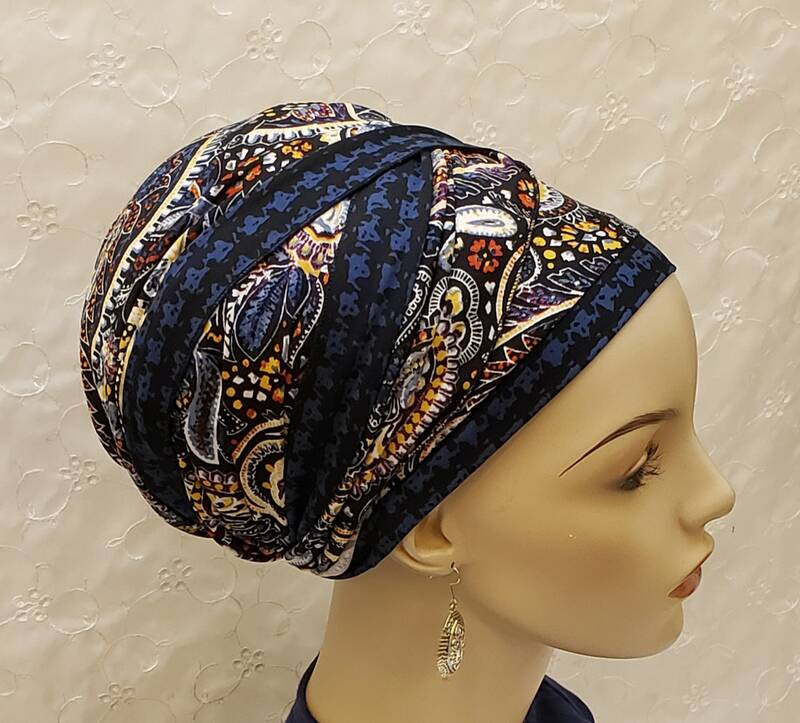 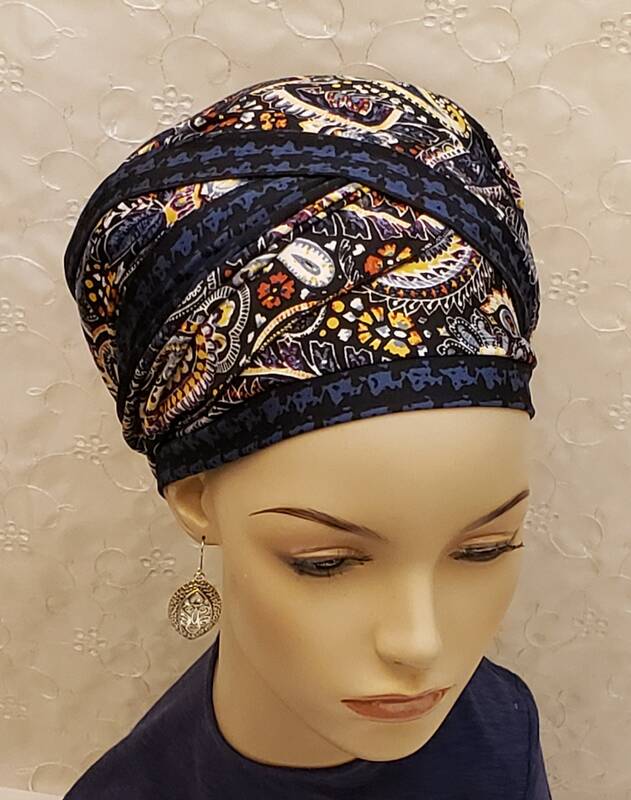 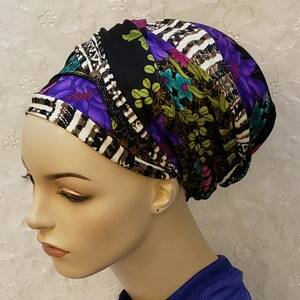 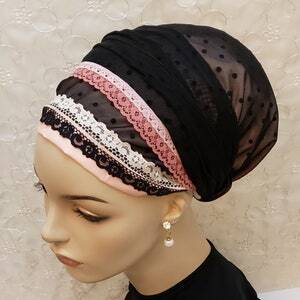 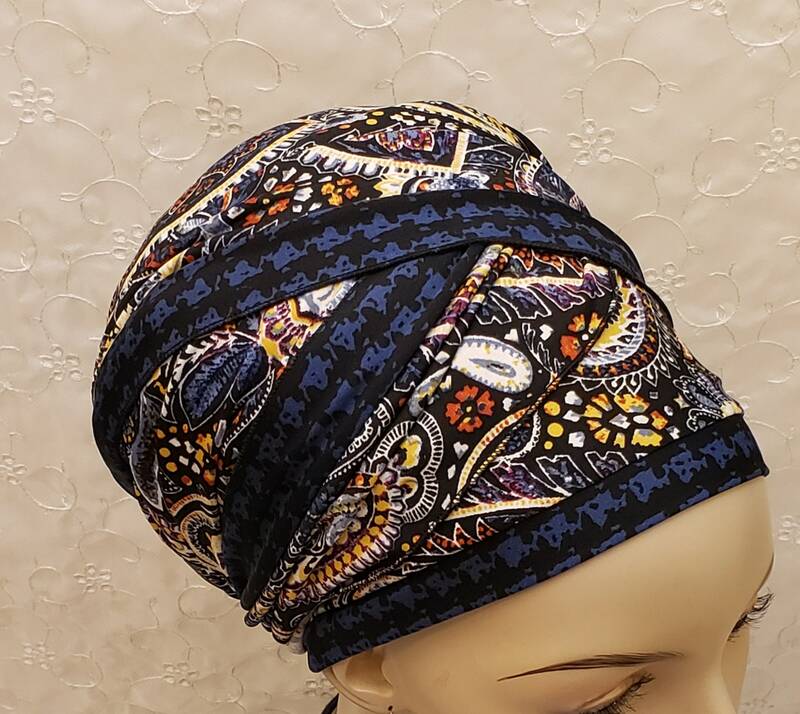 Colorfully chic sinar tichel in a boho floral and paisley design! 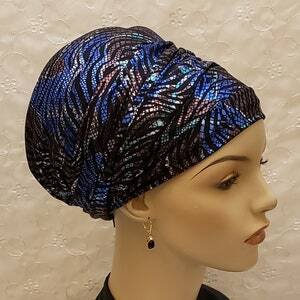 Accented with a blue and black coordinating houndstooth design. Perfect like all of her creations!